Still sussing out how to ring in 2016? Prefer schussing down slopes to shushing revelers or standing in long lines for drinks? We’ve got a slew of ideas for you. 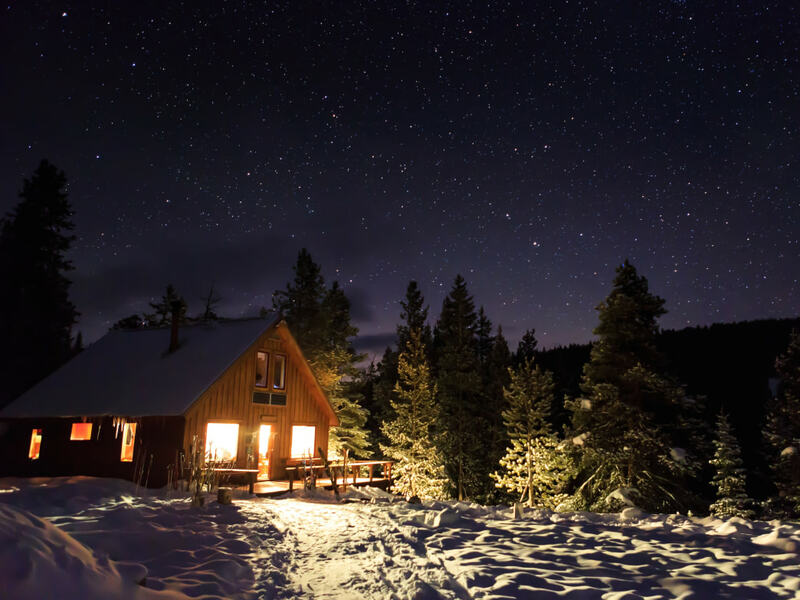 Check out these nine outdoorsy options for New Year’s in Denver, Boulder, and beyond (both Eve and Day), from hikes that will have you seeing stars (or, maybe just one) to fabulous backcountry feasts to hut and yurt trips. But start planning—now—as there are precious few days left in 2015. But if you miss the boat this year, don’t fret. Make it your New Year’s resolution to plan ahead for next year. 1. Hike to the Boulder Star. On New Year’s Eve, skip the bars and head to the Boulder Star. 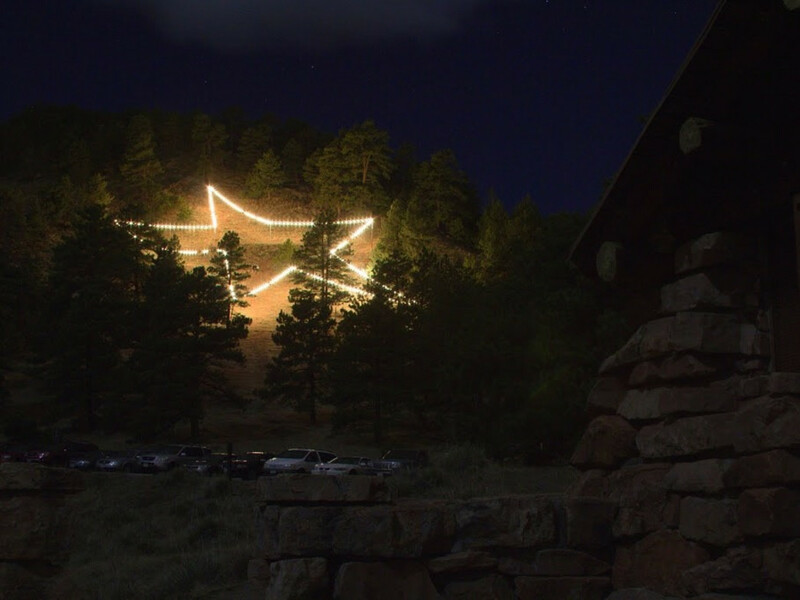 It shines from Flagstaff Mountain’s flanks every year from mid-November until early January, casting holiday cheer on everyone below. 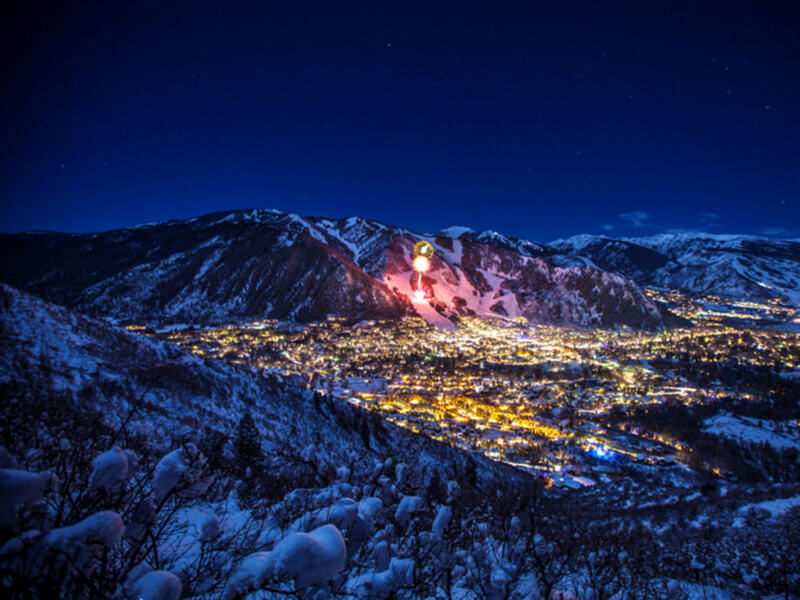 Pack a thermos of hot toddies and hike up to bask in the magical glow. It takes just 45 minutes at a leisurely pace, starting from the base of Flagstaff Road. 2. 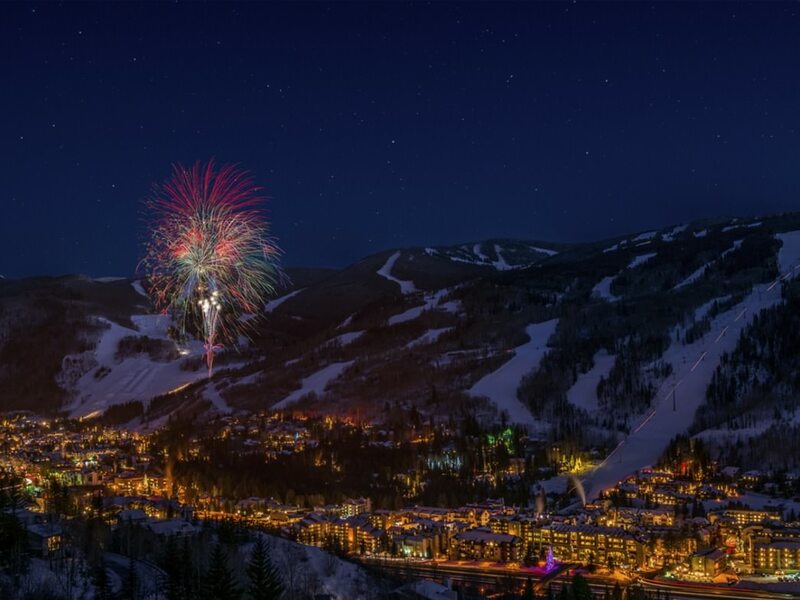 Skin up Vail to see the fireworks. 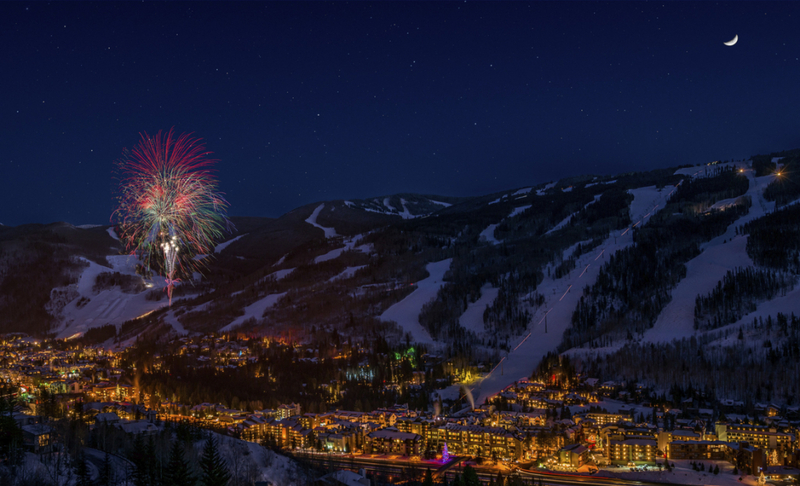 Shortly after nightfall every New Year’s Eve, Vail celebrations kick off with the resort’s instructors skiing down the mountain in a torchlight parade, followed by a fireworks show. Don’t settle for the typical view of this festive spectacle: Slap some skins on your skis or snowshoes on your feet and power up the mountain to admire the action from above. The top of Lindsey’s run is a good spot (climb up Gitalong Road—here’s the Vail trail map ). Start up early; the show starts at 6:15 pm. 3. Snag first chair on New Year’s Day. New Year’s morning lift lines can be sleepier than normal, when many merrymakers are still in bed, sleeping off the festivities from the night before. But if the thought of scoring first tracks sounds more appealing than partying way into the wee hours, hit the pillow early and set the alarm for first chair (meaning you get in line before the lifts start spinning). Not sure where to go? Check out our Quick and Dirty Guide to Skiing and Snowboarding Near Boulder. 4. Take a dip in a Colorado hot spring. 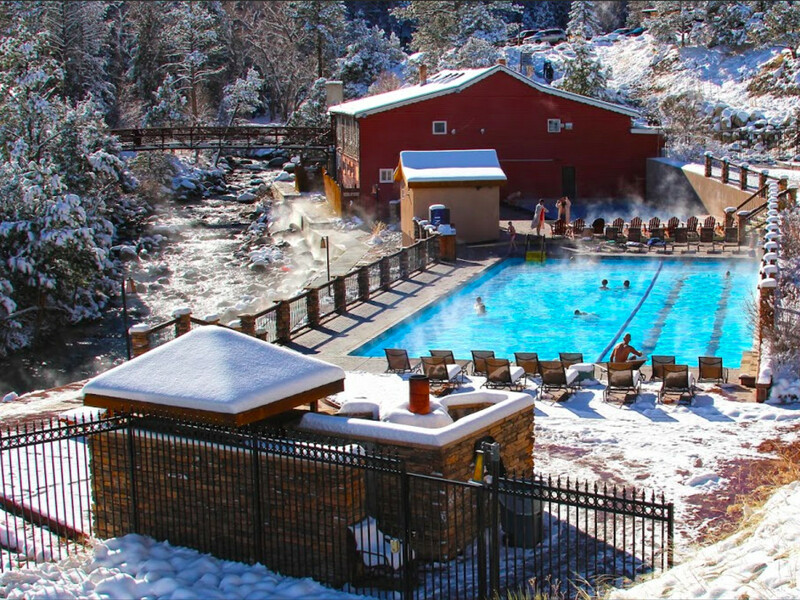 For a soothing start to the New Year, slide into one of Colorado’s hot springs for a soak and let the healing waters seep into your skin, easing muscles weary from bombing down the mountain. Thermal pools beckon from scenic spots around the state. If you need inspiration, check out our list of six stellar hot springs in Colorado . 5. Dine like a king in the backcountry. Colorado caters to outdoor lovers in many ways, including full-blown gourmet backcountry feasts. You might be too late to nab a reservation for this on December 31, but you can always plan ahead for a feast next year. 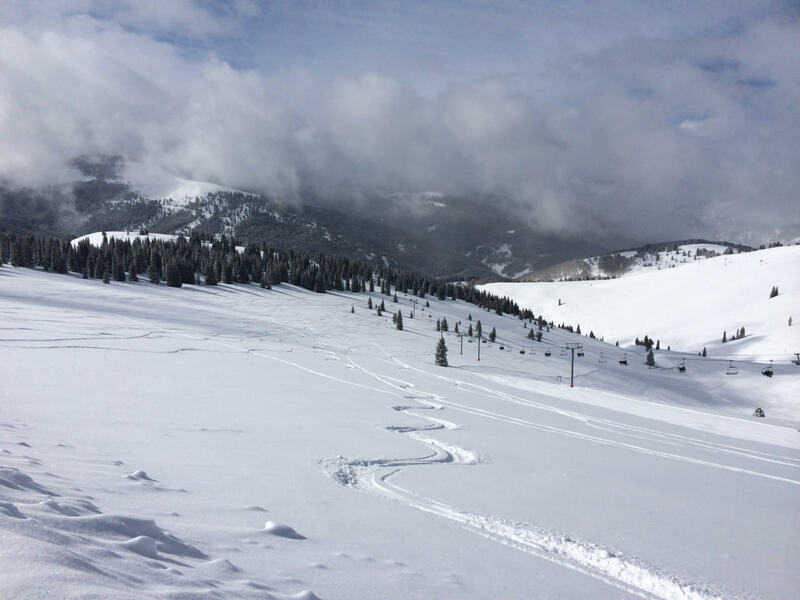 Check out our list of three places in Colorado where you can ski or snowshoe to a backcountry feast . 6. Go on a hut trip. What better way to ring in the New Year than by cozying up with friends and adult beverages around a fire in your own hut? Colorado's 10th Mountain Division Hut Association manages an extensive system of backcountry huts, accessible by skiing or snowshoeing in the winter. New Year’s Eve reservations book up far in advance, but you might be lucky to snag a last-minute spot for two. Also check the 10th Mountain Division hut space forum to see who’s selling space. 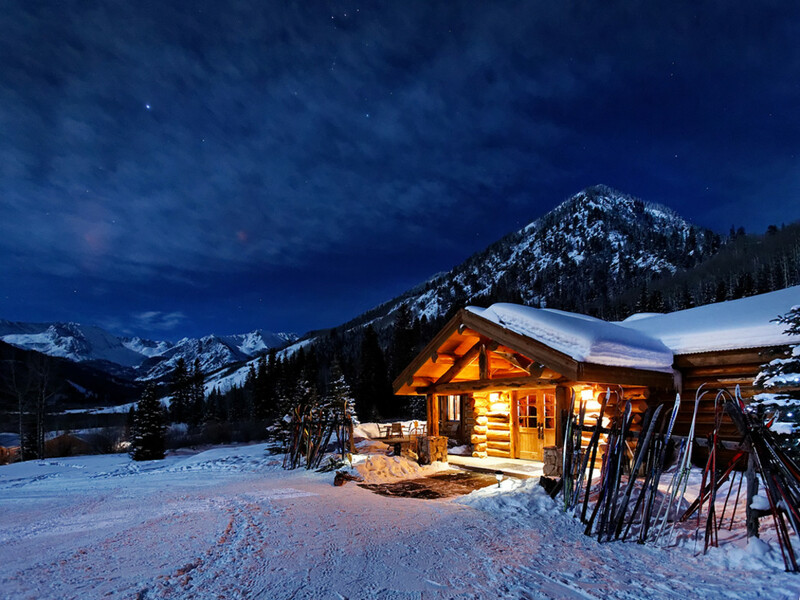 If you’re a hut trip newbie, follow our tips for your first Colorado hut trip . 7. Cozy up in a yurt. Don’t want to nestle in with strangers at a hut? Try a yurt instead. Again, here Colorado shines, with an array of options sprinkled throughout the mountains. 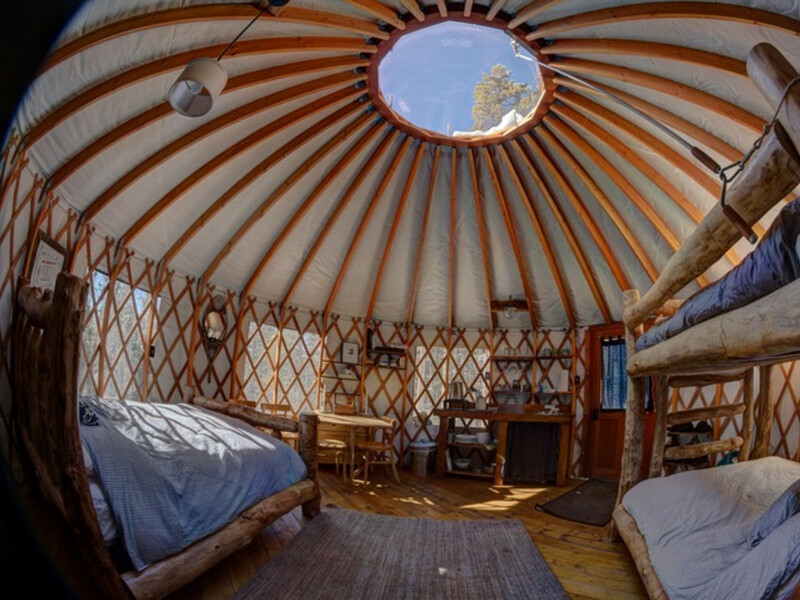 Here’s our list of five awesome Colorado yurts . 8. Earn a margarita after the Minturn Mile. Rather than getting sauced straight from the slopes at après, slide out the back gate of Vail down to Minturn. 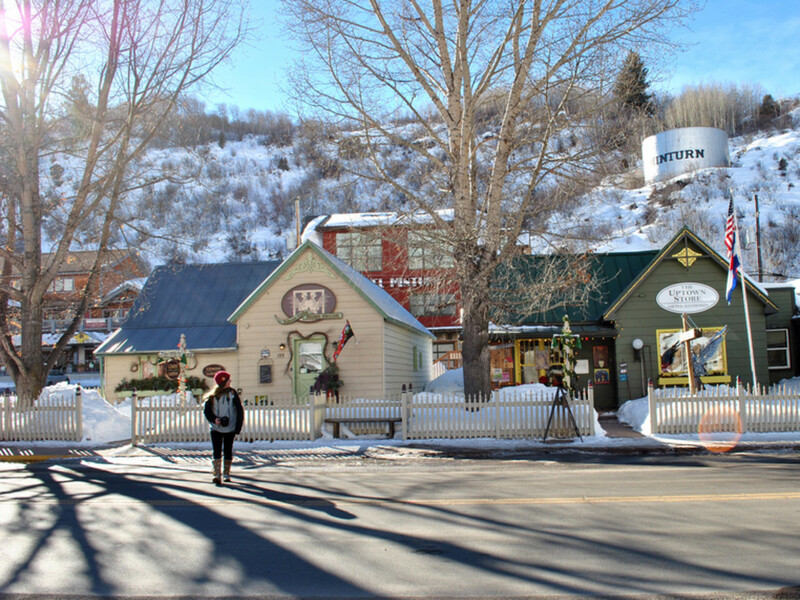 Follow our tips to ski or snowboard the legendary Minturn Mile , which leads you for, well, a mile to Minturn. Cap off your alpine adventure with a margarita at the saloon, a favorite post-mile libation. 9. Save the Polar Plunge for next year. Since 1982, cold-water lovers or those crazy enough to take a mid-winter dip have plunged into the icy waters of Boulder Reservoir on New Year’s Day. If the Boulder Polar Plunge sounds like your idea of freezing fun, mark your calendar for 2017. Due to management turnover, the event is on hold, but is slated to return in 2017 thanks to the American Cancer Society.